Foie gras is delicacy in French cuisine, made of the liver of a duck or goose that has been specially fattened through a force-feeding process called gavage. Foie gras can be sold whole, or prepared into mousse, parfait or pate. Foie gras, to some, is an expensive epicurean delight enjoyed primarily by the rich. What is a hot dog? A hot dog is a moist sausage, typically made of emulsified meat by-products including, but not limited to, mechanically-separated or mechanically-recovered/reclaimed beef, pork, chicken or turkey, fat, and various seasonings and preservatives. Hot dogs, to some, are considered the absolute lowest of lowbrow fare. What is Foie Gras Hot Dog? Foie Gras Hot Dog is a food-related blog that allows us to be properly fancy-schmancy, contentedly middle-of-the-road, and unapologetically trashy in our enjoyment of cooking and eating. Foie Gras Hot Dog lets us run our gustatory gamut – highbrow to humble – and share it all with equal enthusiasm. It's a tall order, but we hope to give due reverence to presenting our family favorites, local, regional, national and international recipes that we love, as well as our culinary explorations of locales Austin and beyond. This is just the beginning – we hope you like it. Julie and Ryan love to cook, love to eat, love to love, love to live. They met at Ghetto Melrose in Seattle, Washington and currently reside in a wee suburban cabin in Austin, Texas. Our breakfast opus "The New State of Chilaquiles in Austin, Texas" – featuring 100 plates and our top 10 – is included in the 2016 Austin Food Blogger Alliance City Guide. The guide features all you need to know about the best restaurants, dishes and beverages in Austin. 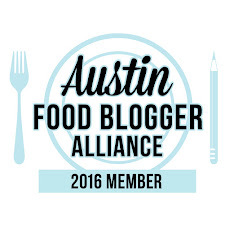 Voted top 10 Austin food blogs for 2014 by the Austin Chronicle. "This charming, iconoclastic blog presents the foodways and recipes of Julie and Ryan, a young Austin pair with a laudable amount of style and confidence, not to mention excellent taste." Winners of TODAY Home Chef Challenge: Southwest Edition. Our papaquiles were served at Today's Munchie Mobile food truck at SXSW. 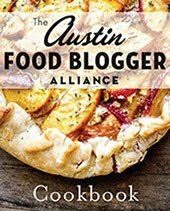 We have two recipes in the new Austin Food Blogger Alliance cookbook - our papaquiles, and Damir's broccoli. All content © Ryan Schierling and Julie Munroe, Foie Gras Hot Dog. Powered by Blogger.